While Liverpool try hard to bring in fresh talent from the transfer market this summer, shocking reports coming in from The Mirror suggest that Jurgen Klopp might have tougher tasks to achieve in the month to follow. Inter Milan have emerged as a club interested in Sadio Mane, and appear to be readying an eyebrow raising £35 million bid for the Merseyside forward. The Senegalese striker has been the best player under Klopp at Liverpool, and losing him will not help the Reds in any way whatsoever. 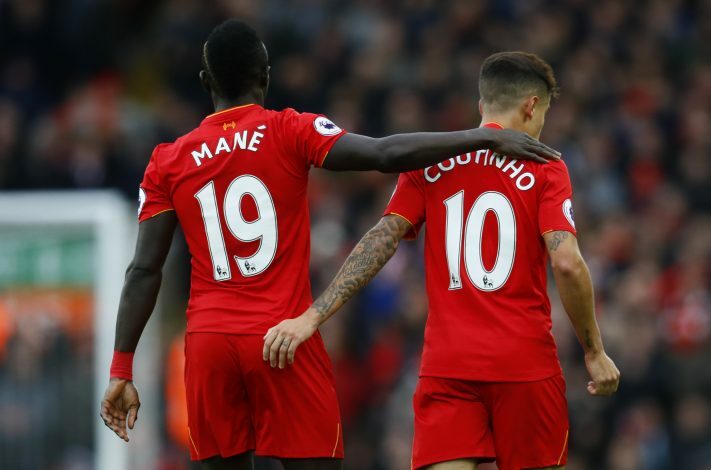 This rumour suggests that the Anfield outfit could be saying goodbye to either Mane or/and Coutinho, who has attracted interest from Barcelona, and none of the two will be an easy pill to swallow. Mane is the club’s goal-getter at the moment, and hence, letting him go is an option they simply cannot afford to consider. The possibility of Sadio Mane heading to the Serie A is currently 2/10. The star midfielder from Bayern Munich has been linked with a ridiculous amount of clubs so far during this transfer window, as his desire to leave the German champions grows higher with each passing day. As mentioned in an article written in The Sun, Liverpool have come out on top as the team likely to acquire the signature of the talented Portuguese midfielder. The Premier League club fears losing main man Philippe Coutinho to the Nou Camp outfit this summer. 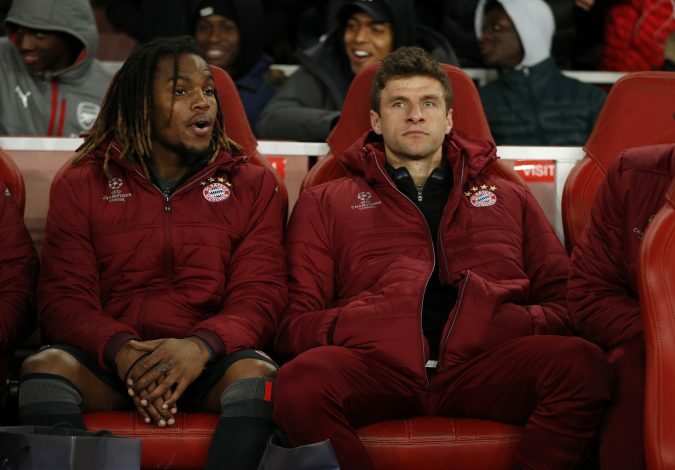 In an attempt to find an able replacement for the Brazilian, Sanches has popped up as target for Jurgen Klopp and his side. Not only are Liverpool eager to find a midfielder full of mind blowing talent, but Sanches is also equally keen to get some game time under his belt. With Munich willing to send their team member out on loan or even on a permanent basis, it might be the perfect chance for the Kop to cash in on a star of the future. The possibility of Sanches coming to England is 6/10 for now. Barcelona are a team that have been linked with a move for Philippe Coutinho throughout the entire transfer window so far. However, reports coming in from Don Balon (via The Telegraph) mention that the Catalan club does have a Plan B in mind. If the Brazilian decides to stay put at Anfield this season, Ernesto Valverde will be aiming to sensationally sign Mesut Ozil from Arsenal for a fee of £53 million. With Cesc Fabregas, Thierry Henry, and Thomas Vermaelen leaving the Emirates outfit for the La Liga giants in the years gone by, the deal sounds like something that might take place. The German playmaker has only a year left on his contract with Arsenal, and is yet to sign a contract extension, raising questions over his future in London. The world cup winner is an assist king to say the least, and could perfectly fit the bill in a side like Barcelona. Given Wenger’s desperation to get his team back to the top, a departure for one of their star players seems highly unlikely. 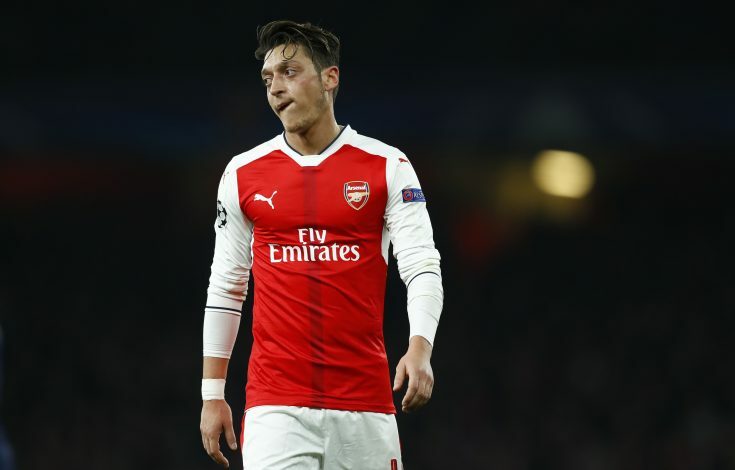 Given the fact that Ozil is a former Real Madrid superstar, the possibility of him making a move to Los Blancos’ arch-rivals is currently 3/10. After Nemanja Matic became a Red Devil earlier this week, Antonio Conte is now searching for a midfielder to step in and fill the gap left by the big Serbian in the middle of the park. 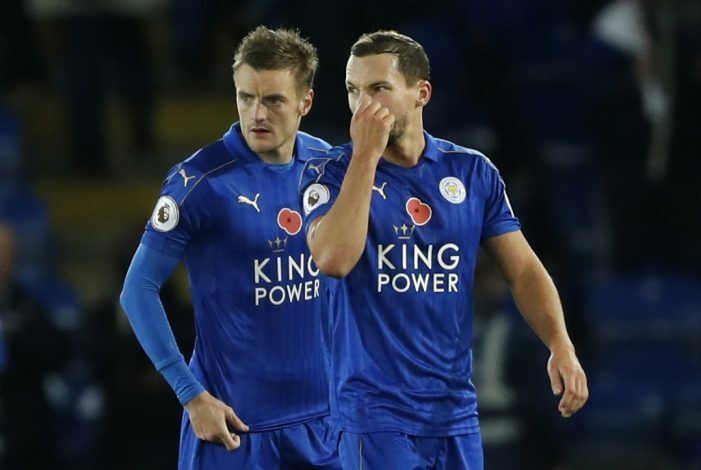 If the reports mentioned in Sky Sports are assumed to be true, then the Blues seem to have found their answer in the shape of Leicester City midfielder, Danny Drinkwater. The Englishman has emerged as a shocking candidate to be purchased by Chelsea this summer. The 27-year-old played a key part in handling the Foxes’ midfield during their unbelievable title-winning campaign two years ago. Given his brilliant chemistry with N’Golo Kante, coming to Stamford Bridge and reuniting with the Frenchman while defending the Premier League crown might help him sneak into England’s World Cup squad for 2018. The chances of Drinkwater coming to Chelsea are currently 7/10.